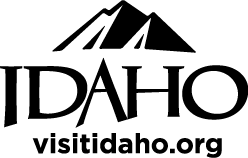 State Statutes provide for two forms of municipal government within the State of Idaho, the Council-Mayor form and the Council-Manager form. This City of Moscow has the Council-Mayor form of government within which there are six Council members and a Mayor which are elected separately and serve a four year term. There are six Council members, all elected at large. Council member elections are held every two year. Terms are staggered so that three of the six seats are open at each election. The Council serves as the legislative and judicial arm of the City government and enacts ordinances (local laws), passes resolutions (statements of policy), confirms the Mayor's appointments of City officials and citizen advisory commission members, approves the City's annual budget, and serves as the quasi-judicial hearing body for public hearings and appeals of other City Boards and Commissions. Regular meetings of the Council are held in the Council Chambers on the second floor of City Hall, located at 206 East Third Street. Meetings are usually scheduled for the first and third Monday of each month, except when those days coincide with a legal holiday. Meetings begin at 7:00 p.m. The Council elects a President from among its members at its first meeting in January every year. The Council President serves as Mayor in his/her absence and has such other duties and responsibilities as the Council may from time to time by vote or by resolution. The Council also elects a Vice President at the first January meeting each year. The Council Vice President serves as Mayor when the Mayor and the Council President are both either absent from the City or are incapacitated, and as Council President when the President is absent from the City or incapacitated. The Council Vice President also has such other duties and responsibilities as the Council may from time to time direct by vote or by resolution.